combine fun activities with a delicious dinner in ægir brewpub! Enjoy the winter landscape and the magical fjord light on one or several activities together with our friends in Flåm Guideservice. Experienced, skilled and knowledgeable guides will take you on a trip so that you can explore Flåm and the surrounding area during winter. 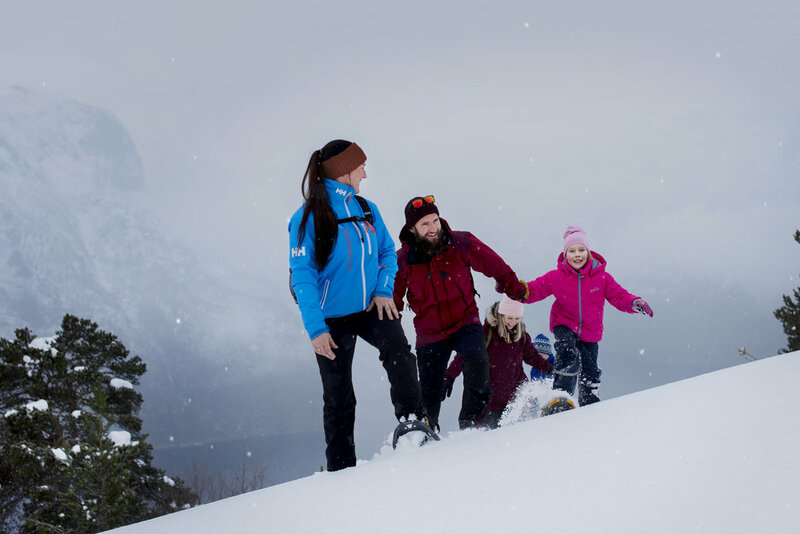 Try snowshoe hiking, explore the heritage site in RIB boat or have a relaxed cultural evening walk in Flåm where you learn about Norwegian culture, history and nature. After a day out in Norwegian winter air, enjoy good food and beer in cozy Ægir BrewPub. Try one of our packages where we invite you to Ægir BreweryPub after an adventurous day out in the winter air. Here you will taste our signature dish - the Ægir Viking Plank! Experience the Norwegian winter on snowshoes and end your day with our delicious viking inspired food and beer menu in Ægir BrewPub! End your fun day in Ægir BrewPub with a unique dinner - Ægir Viking Plank - 5 course food and beer menu! Explore the UNESCO -fjord in RIB boat and end your day with a delicious meal in Ægir BrewPub! Experience Flåm on a quiet and pleasant cultural evening walk, and enjoy a delicious meal in Ægir BrewPub! Dinner: between 18:00 and 21:00 in Ægir BrewPub.